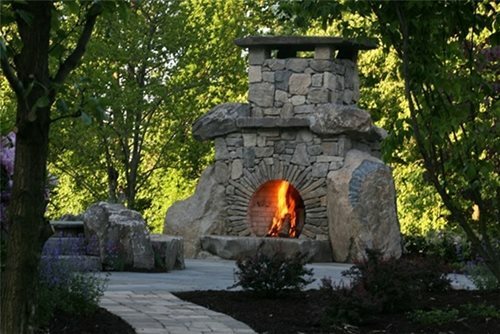 A great stone mason can build an amazing outdoor fireplace from scratch for a truly monumental creation, particularly in naturalistic boulder rich spaces. 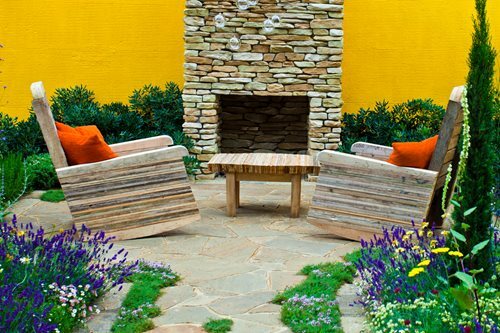 This simple fireplace shows how stacked stone in warm hues can create an outstanding look within a smallish budget. 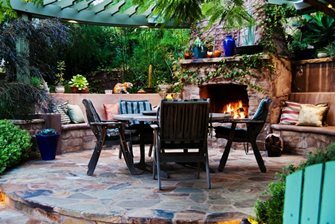 Note the stucco wall color and how it brings out the nuances of the fireplace stone. 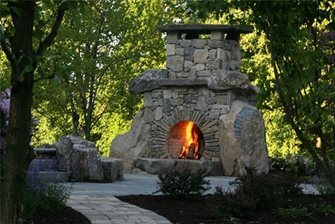 Here all the bells and whistles are integrated into a stone face outdoor fireplace. They feature soldier course at the top of the chimney, the recessed niche on the front, a heavy mantle, extra wide firebox, and two openings for wood storage. The ultra-modern ledgestone veneer makes this L-shaped custom fireplace feel more intimate. 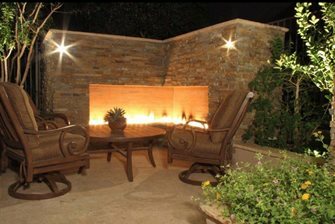 Ledgestone can be applied in sheets or individual, natural stone or manufactured, to create this trendy upscale look. This lovely fireplace stone work is a great example of small patio applications where the surrounding seat wall and paving extend its use for a wholly unified spatial design. 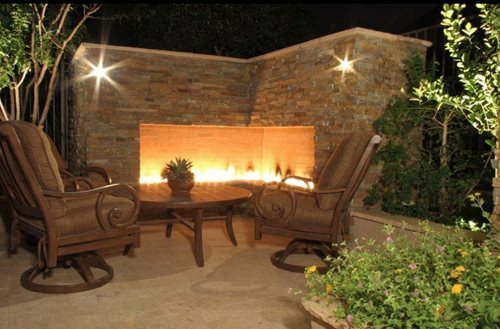 Stone veneer will make your fireplace look natural, yet upscale. 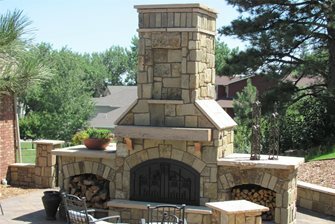 Depending on your budget you can get manufactured stone or real stone. Other options will include stacking the stones or laying them flat. The surface of a stacked stone veneer has more texture. Common stone veneers include slate, flagstone, bluestone, and cobblestone. 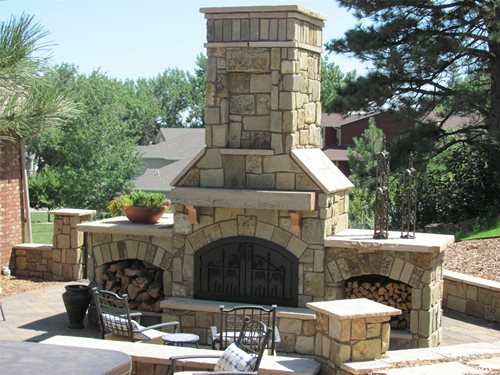 When it comes to selecting stone veneer for your fireplace the most important things to consider are color and pattern. Make sure that the veneer you select matches or coordinates closely with any stonework on your house. The goal is to make everything look as if it was built at the same time.